Subscription that costs between $60 and $100. Price may vary depending on commitment and so on. 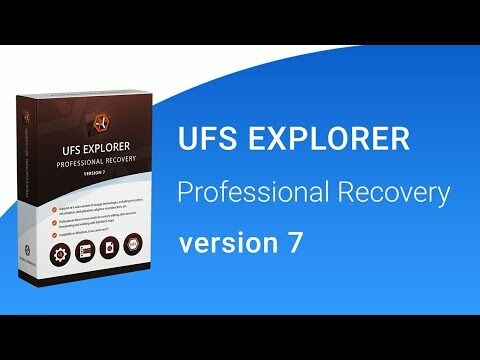 UFS Explorer Professional Recovery was added by QuackyQuacky1 in Mar 2014 and the latest update was made in Apr 2019. The list of alternatives was updated Feb 2019 There is a history of all activites on UFS Explorer Professional Recovery in our Activity Log. It's possible to update the information on UFS Explorer Professional Recovery or report it as discontinued, duplicated or spam. Data recovery software to extract files from broken NAS devices like QNAP, NETGEAR, Buffalo, Synology, Seagate, D-Link and others. Alternatives to UFS Explorer Professional Recovery for Windows, Mac, Linux, Software as a Service (SaaS), Web and more. Filter by license to discover only free or Open Source alternatives. This list contains a total of 9 apps similar to UFS Explorer Professional Recovery. A helpful tool for those who work in the sphere of data recovery. Plenty of functions, great performance.